Jadrian: I’m more excited for Captain America: Civil War. Even though I am looking forward to seeing Batman v Superman, Marvel’s track record is phenomenal. That’s why I feel like at the end of the day it’s going to be a better movie. Andre: Captain America: Civil War. So far Marvel’s been solid and it looks like it’ll be something different. Normally with these movies they’re a little formulaic, but this one genuinely seems like it’s going to be unpredictable. Plus I’m curious to see what they do with Spider-Man and Black Panther… no disrespect to Batman. Brandon: I’m more excited for Captain America: Civil War. I feel like there’s less riding on it. I feel like Batman v Superman has their whole franchise riding on it, so if it’s not good, everyone’s going to lose hope. The trailer for Man of Steel was so good, but then it was a huge disappointment. So when the BvS trailer came out, I kind of held myself back from enjoying it. Vic M: I’m more excited for Captain America: Civil War, but I’m definitely intrigued by Batman v Superman, only to see if they can finally get the character of Batman right… which they have not been able to do in seven films. Sway: Definitely more excited for Captain America: Civil War, mainly because I was such a big fan of the Captain America sequel. I really want to see how they’re going to handle Civil War and all of these extra characters coming into the movie. Marvel has had the whole motion picture side of the business down pat for several years. Their movies, in my opinion, have been better than what DC has managed to put out, except for maybe Christopher Nolan’s Batman films. That’s not to say I’m not interested and curious to see Batman v Superman. I really want to see how they’ll handle a darker and grittier Batman and Superman. I want to see how much is based on The Dark Knight Returns or any DC stories. With Cap, you know it’s based on Civil War, so it’s interesting to see what inspiration they take for BvS. Kyle: Definitely Captain America: Civil War. You don’t know how it’s going to play out and you don’t know who’s going to make it out of the movie. Zack Snyder’s movies are pretty predictable and it’s going to be mostly in slow motion. You know Superman and Batman are going to fight and then make up somehow, and then they’ll team-up to go against Lex Luthor. The only really cool thing is that Wonder Woman is going to have an appearance, but I’d rather just see her in her own movie instead of her in just another rehash of the only two movies that DC knows how to make. Every movie in Marvel’s universe has been awesome and this is going to be a big event movie, so I’m interested in seeing how that plays out. Gregg: Marvel sure knows how to make entertaining movies and Captain America: Civil War has a ton of potential (and the debut of Black Panther! ), but I’m just so excited for Batman v Superman. This is going to be the first time DC’s Holy Trinity – Batman, Wonder Woman, and Superman – appear on the big screen together and it’ll play a huge role in expanding DC’s movie universe. Yeah, the source material is based on a time when Bruce and Clark are already good friends (or were, that is), but this conflict is more than likely going to be used to create that iconic friendship… and having it loosely based on one of the biggest comics of all-time doesn’t hurt, either. Plus, Affleck looks terrific as a version of the Dark Knight that’s blatantly inspired by Frank Miller, and Affleck’s recent work – like Argo, The Town, and Gone Girl – gives me faith in his ability to portray both Bruce Wayne and Batman. I also think it’s great they’re not just glossing over what went down in Man of Steel. Instead of just leaping forward, it looks like the devastating Kryptonian assault and the emergence of a godlike person – one who could easily take over the planet if he wanted to – is getting some proper follow-up. This stuff should be a big deal and it’s looking like it’ll be given the attention it deserves. So yeah, a new and very promising Batman, the building of a whole new comic book movie universe, and being based on great source material has me very anxious to see this one in 2016. In the end, I’m just glad we’re getting these two potentially awesome movies (and so many other promising comic book movies) in the same year. Shut up and take my money, box office. Five out out seven Midtown Comics employees sided with Captain America: Civil War, but what about the poll on Twitter? Well, at the time of writing this, Chris Evans’ Steve Rogers is receiving more support over there, too! 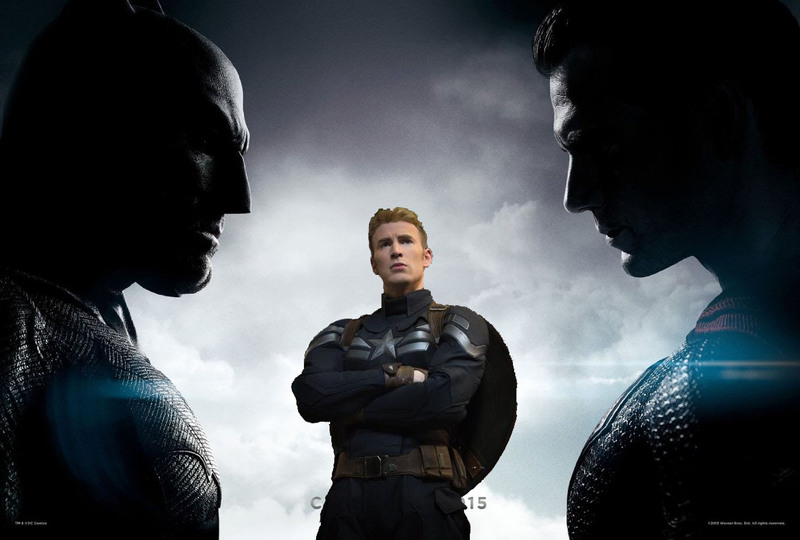 Cap isn’t way ahead of the Caped Crusader, but he is taking a noticeable lead. Cap 3 has 56% of the votes, and Batman v Superman received 44%. Captain America: Civil War, you’ve won the first edition of the Midtown Comics Clash! It’s no Oscar, but it beats losing, right? Now we all just have to wait and see whether or not both of these movies live up to the hype. The views expressed herein are solely those of the writer and interviewed employees, and not Midtown Comics as a whole. Additionally, Midtown Comics makes no representations as to the accuracy of any of the information expressed herein. Great points. I can see that Marvel’s cinema record gives it a turbo-boost here. Still, I’m feeling it for Batman vs Superman. Probably because I don’t really know what to expect from DC, which has a good entertainment footprint (IMO) but not as flashy as Marvel. I’ve enjoyed all of the comic book- action movies and feel a lot of hard creative work paid off all around. 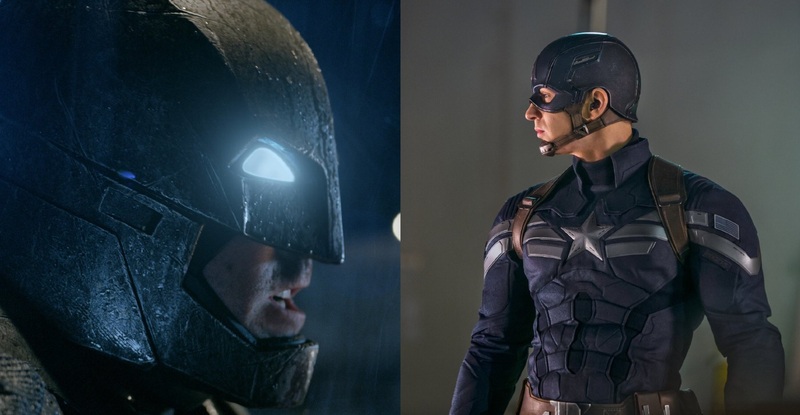 So yeah, my all time fave Captain America and the Civil War pix will be near the top of the list, and I’m putting the Batman vs Superman as my main must see flick. Just bring ’em on, for heaven’s sake!